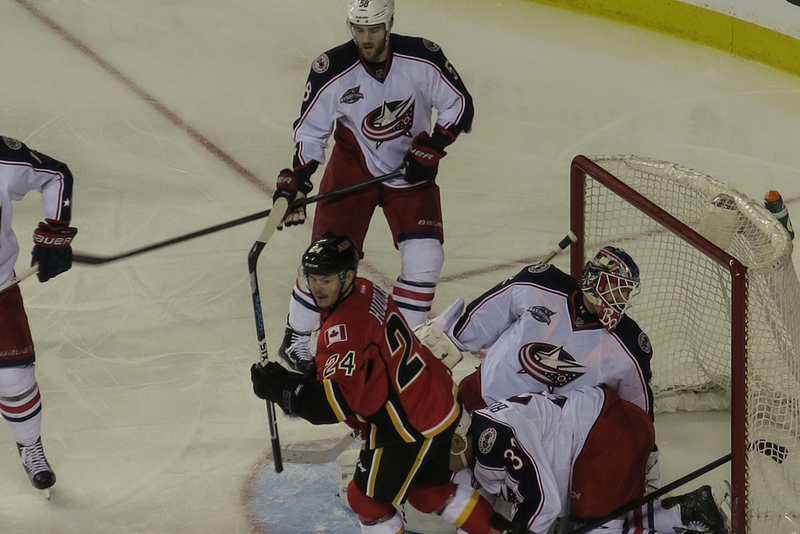 Positively speaking, the Calgary Flames picked up a point in their matinee game this afternoon at the Saddledome against the Columbus Blue Jackets. For those holding their glass half empty, it was no doubt a point lost. An out of character defensive mistake in the third period by Kris Russell, when he miscued a pass against the side of the net, was greatfully received by Artem Anisimov to tie the game. Earlier on, the Flames started well. 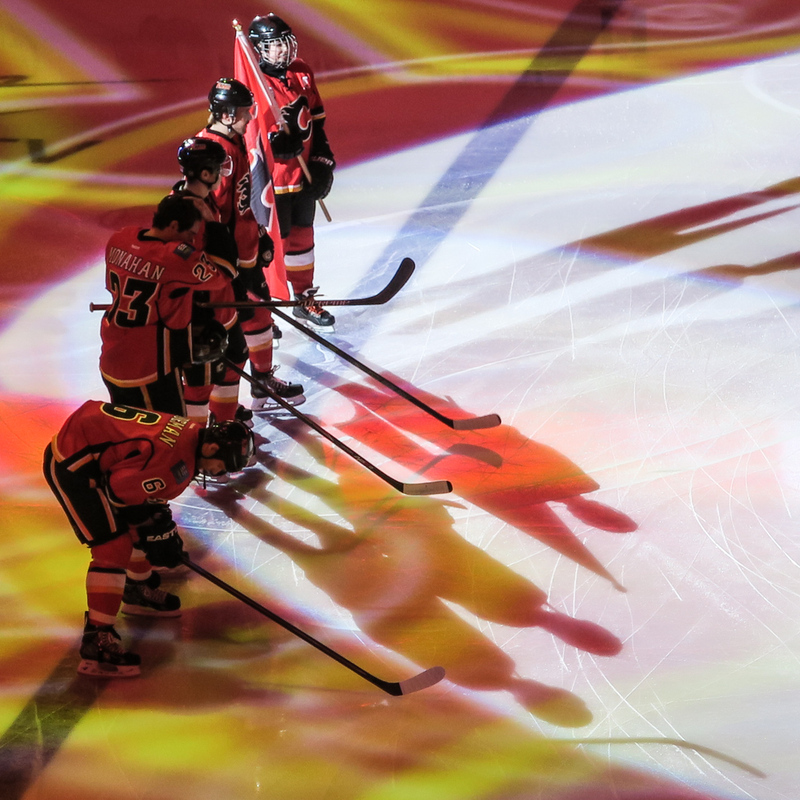 Sean Monahan scored on the power play assisted by line mates, Jiri Hudler and Johnny Gaudreau. Former Flames favourite Rene Bourque pulled one back for his new team later in the first period. 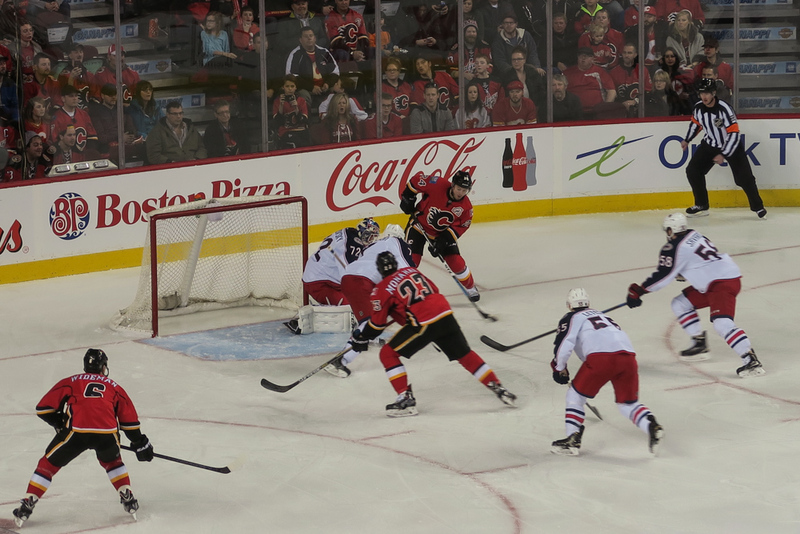 Into the second, Jiri Hudler made it 2:1 for the Flames, then came the aforementioned defensive hiccup. Just as one minute of remaining overtime play was being announced, Bourque scored his second of the afternoon to give #CBJ the win. Photo notes: I used my recently acquired Canon G7X for these images. It’s a point and shoot camera with a fixed lens, a fairly quick response and you can keep it in your pocket when not in use. Indeed it is, Rob. Got to stay positive!